We have had one response to the start of Evaluating our Tehillim group. One of our Tehillim group members mentioned that perhaps we should consider the progress of the group like the development of an acorn into a tree. That is a beautiful thought. While other women are contemplating our current status of Evaluation, here is the next thought to consider. Most Tehillim groups take place in person. As such there is a set of books that the person facilitating the group can hand out. 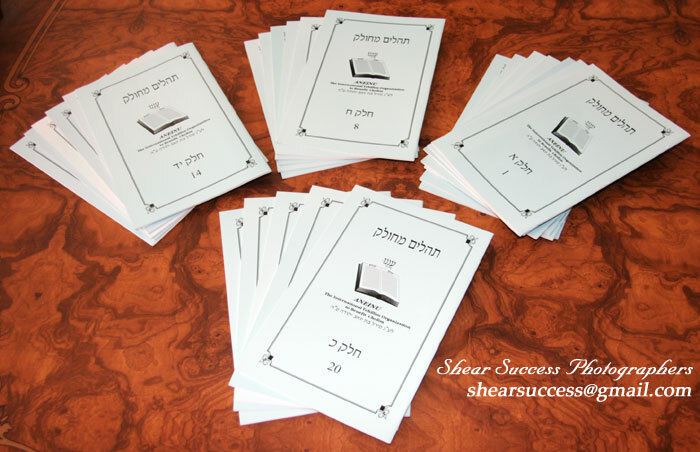 Each of these books contains the Tehillim for the day as arranged if the whole Sefer Tehillim is divided into 24 sections. How many Perakim of Tehillim are recited. Can we complete the whole Sefer Tehillim and if so how many times? Well, when the group takes place internationally, the facilitator relies on the group members interacting with her in order to know that they are actually reciting their Perakim of Tehillim. We therefore need a method for women to interact. Perhaps we need to screen the women and only accept those who agree to interact, at least every x amount of time. If so, what will the time frame be? Some women in the group interact about once in six months, how can I know that they are participating? Some have sent emails saying that they know they agreed to x amount of Tehillim but have not yet managed to do their share. This comment proves my point and concern exactly. So we need some criteria here. How often should the women interact and what method of interaction should we institute? Please do send in your responses. Remember if this is to be a group, we need your interaction otherwise all it is in truth is my writing emails, posts etc, having a list of names and from my side, it appears nothing else is happening. I need to know what transpires on YOUR end of the group. I don't want a solo here, I want a group. Why Do Women Become Mothers? A New Meaning to Yomim Tovim! All articles, stories, photographs and artwork are copyrighted and may not be used by anyone without permission by Shoshanah Shear. In the Days of Mashiach!